Previous：What is a genuine church life? How should one live the church life to gain understanding of the truth and growth in life? Next：How can one establish a normal relationship with God? Many brothers and sisters feel perplexed: Why does God not listen to our prayers? How should we pray so that we can receive God’s praise? Actually, there are a few reasons why God may not listen to our prayers. 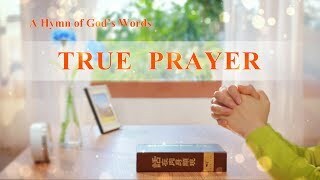 The four elements of prayer above are a path of practice for Christian prayer, and if we can attempt this and put it into practice every day, we’ll be able to establish a proper relationship with God and understand the truth within the Lord’s words. Many brothers and sisters believe the kingdom of God is in heaven, but the Lord’s Prayer says, “Your kingdom come, Your will be done in earth, as it is in heaven” (Matthew 6:10). God clearly tells us that God’s kingdom will come upon the earth, and that God’s will shall be done on earth. Why is this? Is God’s kingdom in heaven or on earth? 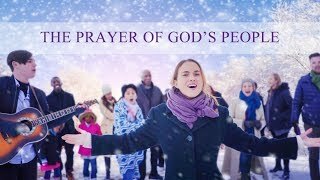 Gospel Worship | Learn How to Pray to God | "True Prayer"
Christian Music Video | Live in the Light | "The Prayer of God’s People"
Prayer of Praise | Best English Christian Song | "The Significance of Prayer"
Why must people who believe in God pray, gather, and read God’s word to attain new life? What is a genuine church life? How should one live the church life to gain understanding of the truth and growth in life? How can one establish a normal relationship with God? Living abroad, we are quite busy with our work and with things at home and sometimes we don’t have time to read God’s words or attend meetings. I feel that this is not putting God first, however, and I feel in my heart that I owe God. I’d like to ask how we can find a better balance between our work, our families and seeking the truth?